Crank Brothers Candy SL pedals. 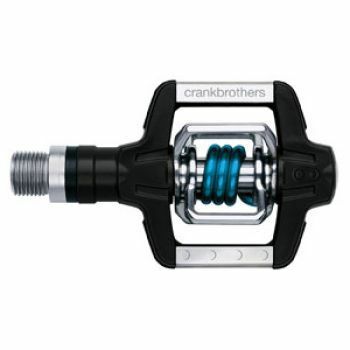 Bottom line: If you like the minimalist look and excellent performance of Crank Brothers signature Eggbeater pedals, but perhaps long for a bit more platform, the Candy pedal also by Crank Brothers will be just want you want. The pedal starts with the Eggbeater technology as the foundation, but then adds an additional base to bring forward a broader rest for your foot. This is good for both finding your way to click in and in cases of emergency as a way to pedal even if you're wearing special bike shoes. The pedal is easy to maintain, is plenty durable and sheds mud easily. In short, this is a clipless pedal you'll be happy with. The Crank Brothers Candy pedals are actually a whole line of clipless pedals primarily intended for mountain biking and other off-road riding, but actually suitable for just about any type of use. Offered in a range of prices and materials, the basic model is the Candy X (308 grams, suggested retail of $65). Candys also come in chrome (the Candy C -- 308 g, $80); stainless steel (called the SL -- 294 g, $120); and partial and full titanium versions (called the 2t and 4t, with weights of 252 gr and 198 gr and costing $230 and $350, respectively). Obviously what you're getting with the increasing prices is lighter pedals made with higher quality materials. I suppose weight weenies will see the value in spending $130 in making the jump to an all titanium pedal (going from the 2t to the 4t) in order to drop all of 54 grams, but you'll find the best value in the Candys in the SL, where you get a pretty substantial improvement in quality with only a $30 increase over the "C". I say that because, particularly in mountain biking, where these pedals are going to find their most use, the weight of pedals is not nearly as important as their durability and performance. By adding the platform, the Candy pedals have forfeited the "doesn't matter where the pedal is" entry -- supposedly one of the benefits of the Eggbeater. However, as I noted in my Eggbeater review, this was actually a negative for me with the Eggbeater, as I found it consistently difficult without a platform as a reference point to guide my foot to the exact right point where the cleat needed to be to engage the pedal. Sure, I could fool around a bit and finally find it after a while but that gets old. So that's a plus for the two-sided pedal of the Candy. It's easy to use - basically if you stomp down on either of the broad sides of the pedal, top or bottom, you're going to find yourself hooked in. Another nice thing is that you just put these pedals on and ride. No diddling with pedal spring tension required. Also, the additional platform that the Candy pedals carry on the Eggbeater base doesn't affect either the float or the release point. The float (amount of movement within the pedal when you're clipped in) remains at six degrees, which is enough to give your knees some relief and allow them to move to your most natural and comfortable position. Release from the pedals comes at either 15 or 20 degrees -- that's how far you have to swing your heel out for the springs in the pedals to turn loose from the bottom of your shoe. When the cleats are in proper condition, i.e., not overly worn, you'll have no problems with either premature release when you're really banging the cranks nor in being trapped in the pedals when you really need to get out. The key, of course, for long, satisfying performance--for both the Candys and every other pedal--is to stay on top of the condition of your pedals and cleats. The cleats are made from a pretty soft metal (brass) and are subject to wear. 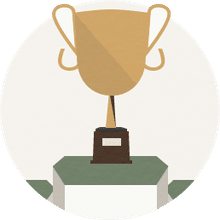 But replacement is infrequent and inexpensive (about $25 for a new pair of cleats), so even if you're changing out the cleats every so often, the pedals themselves will still on their own provide you with long wear and useful life. Crank Brothers' estimate is between 300 and 500 hours of use for the brass cleat before it needs replacing. But that can be difficult to keep track of, and there are all kinds of other variables that affect cleat life -- factors tied to the type of rider you are, on what surface you generally ride, how much walking around you do, etc. So just pay attention to your cleats, and replace them if they eventually start to feel sloppy down the road. If you ride just once a week, the cleats will easily last you 18-24 months. As far as maintenance of the pedals themselves, greasing the pedals is a snap, and they don't even have to come off the bike. Depending on conditions, you'll want to do this every 100-300 hours of riding. Crank Brothers offers terrific technical support on their website on how to do this, including video demos. They also advise that if the pedals start to feel loose or gritty, it's probably time that they be rebuilt. You can either send them in to Crank Brothers for rebuilding or else you can order a rebuild kit directly from them ($15) and do it yourself. So, Should You Get Them? So, should you get them? In a word, yes. The pedals are easy to maintain, shed mud like a dream and are easy to use. They are a great value and even the packaging is cool. That's not going to be what makes your decision, but you still feel like a king when you get the pedals and it feels like you're opening an expensive jewelry case. The lid flips up like a cigar box and inside the pedals are fitted into designated spots in the black packaging, and even have the polished hex bolts glittering like diamonds, laid in nicely next to them in the black velvet. Another thing too is that Crank Brothers is a great company for technical support, warranty service and more. They design smart products at reasonable prices for people who ride bikes, and the Candy pedals are right there with them in that group.